How to know your motherboard processor frequency and RAM frequency. Motherboard, processor and RAM are considered major components that make the running of a computer to be smooth. Without them, it is for sure that your computer will not work properly. Frequency is a general factor that determines the overall speed of your computer. If you own any type of motherboard, you can easily set the frequency of your processor. The BIOS helps in changing your computer's speed. You can easily access your BIOS menu once you start up your computer. When you want to know the motherboard, processor and RAM frequency, it is quite simple and can be accomplished within the shortest time possible. The primary step you need to undertake in knowing motherboard, processor and RAM frequency is for you to turn off your computer and press Del in order to access your BIOS. Next, highlight frequency control using your arrow keys. Once you have done the highlighting in an appropriate way, press enter. Highlight the RAM frequency number and note it down. In case you need to change it, do it to your desired value. The frequency setting for your motherboard will be influenced greatly by the multiplier value your processor has, as well as your heat sink. Once you have noted down the frequency number and you find there is need for you to change them, you are free to do depending on the value you so desire. After making the changes, you can simply save the changes by pressing F11 and then exit. 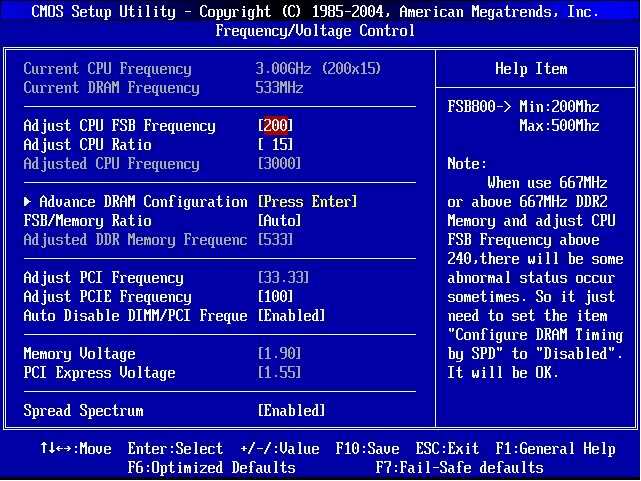 Once you go to your BIOS menu, you will find the changes you have made based on your motherboard, processor as well as RAM frequency. To sum it up, when you want to know your frequency settings, they should directly correlate to your processor's multiplier value. Make consultations on your processor in order to know the best frequency value.